Next to Normal, which opened at Bloomington Civic Theatre on Friday, tackles a topic not regularly broached in musical theatre. The rock musical with a book and lyrics by Brian Yorkey and music by Tom Kitt focuses on Diana Goodman (Karen Weber), a mother who struggles with her worsening bipolar disorder and the effect that her illness and attempts to alleviate it have on her husband Dan (Sean Dooley) and daughter Natalie (Aly O’Keeffe). Mental illness is a taboo subject for most, but Next to Normal addresses the topic with dignity and grace. The show also addresses grieving the loss of a child, drug abuse, suicide and ethics in modern psychiatry. Karen Weber is fierce in her portrayal of Diana. The vulnerability she brings to this character is masterful. Blake Rhiner is superb as Gabe, the son who “haunts” Diana. He is powerful in this role, but also blends in beautifully into the background as the story calls for it. Aly O’Keeffe’s Natalie is full of typical teenage angst delicately mixed with a girl who longs to have a relatively normal home life. Director Joel Sass designed the sophisticated, sleek and modern set. For me personally, I believe a high caliber set only adds to an outstanding show. This set is no exception. Next to Normal won the 2010 Pulitzer Prize for Drama, becoming only the eighth musical in history to accomplish this fete. Do yourself a favor and take the time to see this unconventional piece of musical theatre, that tells a story we all can relate to in some way. 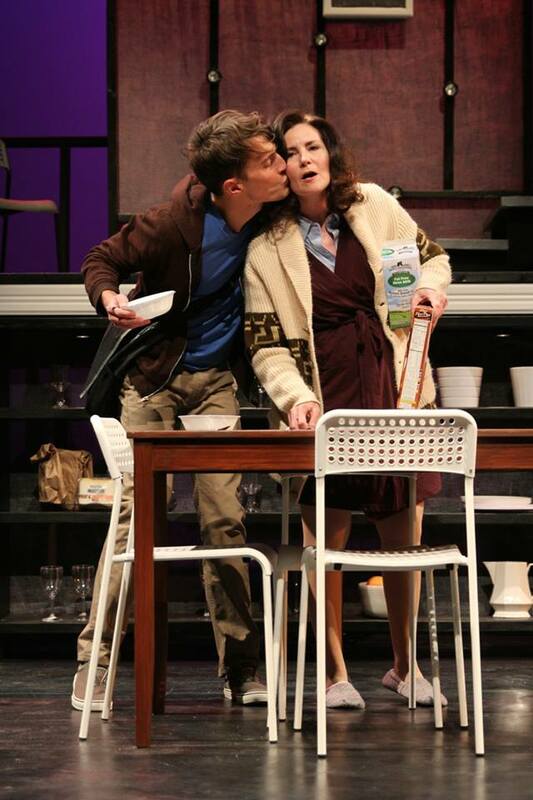 Next to Normal is playing at the Schneider Theatre at Bloomington Civic Theatre through November 15. For more information on the show, visit Bloomington Civic Theatre’s website.